Take an interactive history lesson on the life of the 16th president on this 1-hour pedicab tour in the heart of Washington D.C. Hop aboard a pedicab with your private group of up to three people and learn about Lincoln's presidency, assassination, and legacy while passing historic downtown locations, including the Lincoln Memorial. Along the way, you'll also see Chinatown, a hidden memorial, and two hundred years of architecture. Your tour will conclude either at your original departure point or another location that's convenient for you. Begin your private pedicab tour at the corner of 15th Street and New York Avenue NW. Hop aboard with your group of up to three and take off on a scenic history lesson of D.C. Pass through each diverse neighborhood as your guide points out the locations connected to Lincoln's life, presidency, and assassination. 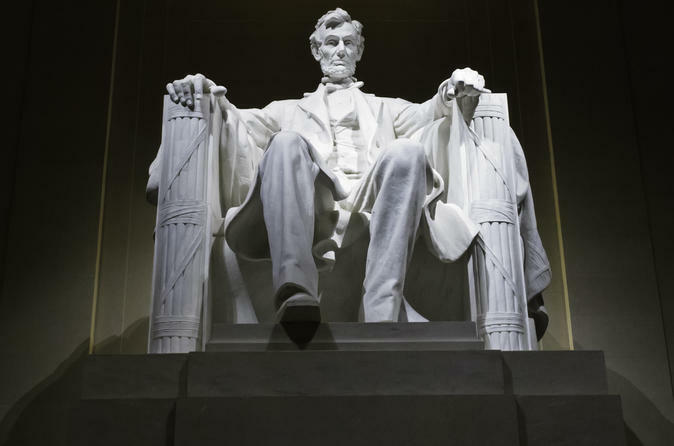 Discover a hidden memorial in the heart of D.C., trace the footsteps of John Wilkes Booth, see Chinatown, and admire the original Lincoln Memorial up close. Hop off anytime you like for a longer look or to snap a photo. Each pedicab seats two to three adults comfortably, and one or two kids (ages eight and under) are welcome to sit on laps. Any umbrella stroller can be folded up and easily stowed on the pedicab as well. After an hour of sightseeing and history, your tour will conclude either back at your original departure point or at another location convenient for you.